Columbia College has provided quality educational courses designed to prepare learners for university admission. These programs include a University Transfer Program that is fully integrated into the BC Transfer System. In 2004 Columbia College has been permitted to offer Associate Degree programs under Minister of Advanced Education. 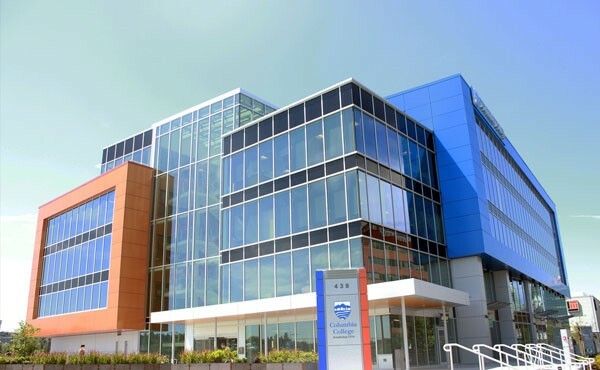 Columbia College has offered its programs in a new five-story building on Terminal Avenue, just east of Vancouver’s city centre in April 2013, . This will offer excellent facilities to students, including science and computer labs, lounges, a bookstore and a library. In September 2017, Columbia College will expand into a high facility a short walk away at 333 Terminal Avenue. Columbia College operates on a tri-semester system. Students can begin their program at the start of any semester. Each semester contains 14 weeks and allows for a break of at least three weeks between semesters. Columbia College encourages academic excellence and maintains high levels of professionalism during every student’s journey towards acquiring their degrees.